There’s nothing quite like the excitement and buzz that surrounds the launch of a book. The clumps of hair you ripped out in despair have grown back. Your friends and family are here and are incredibly proud of you even before the alcoholic punch. And the Luminary is ready to press PUBLISH and shoot you into the world of the PUBLISHED AUTHOR. 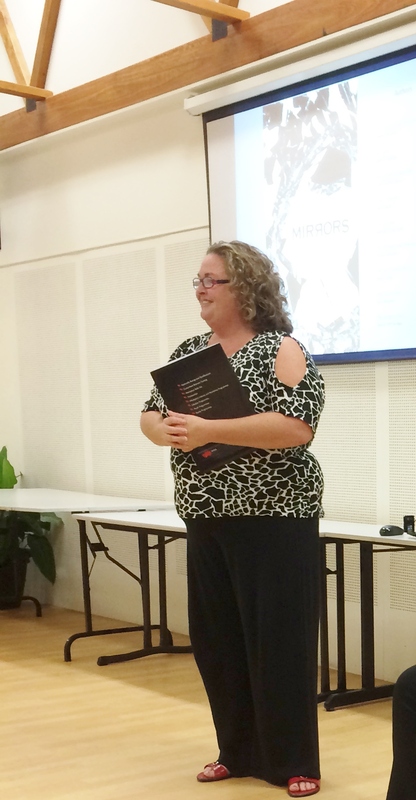 Adrienne Sims, the Service Unit Manager of the WEA, graciously launched Mirrors – The Writing Workshop Anthology. In recognition of the authors’ fine achievements Adrienne presented congratulatory certificates. Sue Masens read her bittersweet story A Ship of Dreams included in Mirrors. The backdrop was her old photo of the ship that sparked the memoir. Congratulations to all the authors included in Mirrors. It’s a fine achievement and a worthy contribution to the world of literature. 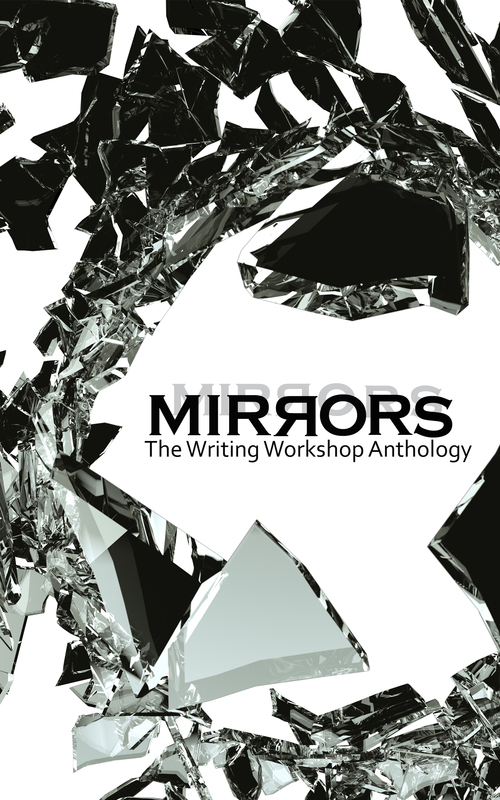 Treat yourself to Mirrors – The Writing Workshop Anthology for only $1 from Amazon.com. Purchase here. 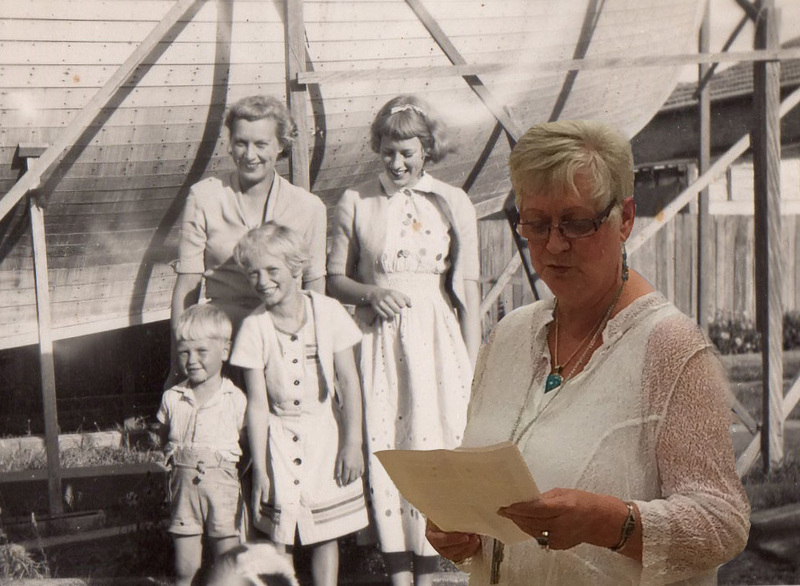 Check out Margaret Jackson’s wonderful blog ‘Marg’s Slices of Life’ for more about the launch. This entry was posted in Books and tagged books, launch, Mirrors - The Writing Anthology, publishing. Bookmark the permalink. Yes Karen It’s been an exciting week topped off by the launch. Thanks again for the encouragement and support to us all in writing our stories which you took and published in our E-book. Now to get some good reviews from all our readers. It was an exciting week, Margaret. Every one of the stories in ‘Mirrors’ deserved to be published. I’m very proud of the book. Karen, I love the way you’ve blogged about the launch of ‘Mirrors – The Writing Workshop Anthology’. The photographs are a lovely addition – I especially like the one of Sue in front of her family and ‘The Ship of Dreams’. Sue’s reading was perfect for the launch. Thanks for your contribution to the launch, Diana. Again, your competency and kind nature are highly appreciated. CONGRATULATIONS TO ALL! WHAT A WONDERFUL ACHIEVEMENT…also very inspiring! Thanks so much, Jenice. Your turn next? Very exciting times for all the authors! Lovely photos and what a fantastic shot of Sue in front of her family photo. The stories in the book are wonderful. I’ve just started reading the stories again, Marie. It’s a publication to be proud of! Sue’s photo is fantastic, isn’t it! This was such a wonderful event. 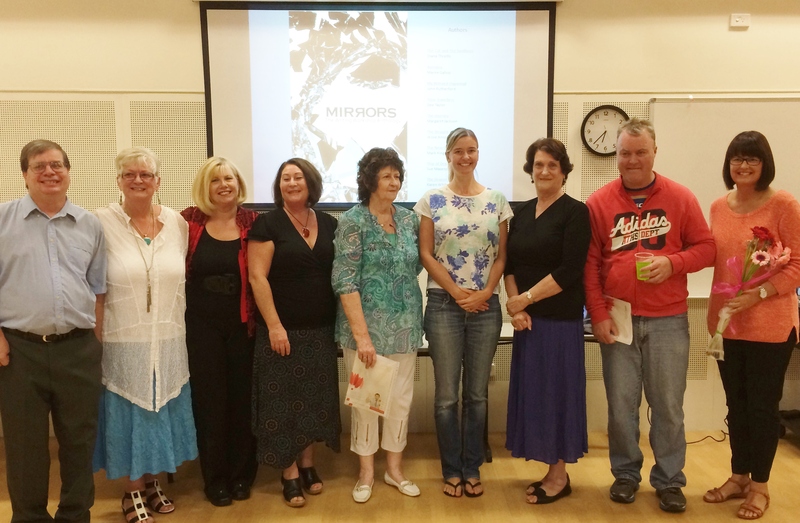 The launch of Mirrors was celebrated by all of the authors with their friends and family. Thank you to Karen Whitelaw and Diana Threlfo for their amazing editing and publishing skills and to the WEA for launching the e-book. I’m so proud and privileged to belong to such a talented writing group.